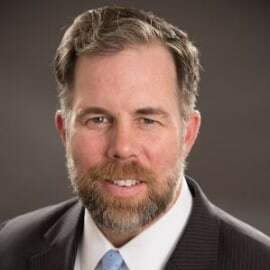 Patrick Kilbride is senior vice president of the Global Innovation Policy Center (GIPC) at the U.S. Chamber of Commerce. There, he oversees the center’s multilateral and international programs promoting the protection and enforcement of intellectual property (IP) rights, managing a team of country and regional experts. Previously, Kilbride was Executive Director, Americas Strategic Policy Initiatives, and Executive Vice President, Association of American Chambers of Commerce in Latin America and the Caribbean (AACCLA), within the Chamber’s International Division. Prior to joining the U.S. Chamber, Kilbride was appointed to serve in the Bush administration as deputy assistant U.S. Trade Representative (USTR) for Intergovernmental Affairs & Public Liaison. At USTR, Kilbride worked with state and local officials, business organizations, and non-governmental organizations to advance the President’s trade policy agenda; he served as USTR liaison to the network of industry trade advisory committees (ITACs), as well as the President’s Export Council; and, he was part of a White House-led, inter-agency team that coordinated efforts to secure congressional approval of pending U.S. free trade agreements. Previously, Kilbride was director of Government Affairs at the Council of the Americas, where he played leading roles in industry coalition efforts that saw the network of U.S. free trade partners in the Americas expand from two countries to twelve in less than a decade. At the American Apparel & Footwear Association, Kilbride represented U.S. apparel manufacturers as government relations representative, helping to secure enactment of the Caribbean Basin Trade Partnership and African Growth and Opportunity Acts. Kilbride began his career in global economic policy as an international trade specialist with the law firm of LeBoeuf, Lamb, Greene & MacRae. He is a graduate of the George Washington University, and resides with his family in Alexandria, Virginia.